What Is a Farm Labor Contractor Bond? In many states, farm labor contractors need to provide a farm labor contractor bond in order to operate legally. The bond is often a prerequisite for receiving a farm labor contractor license from your state licensing authorities. The purpose of farm labor contractor bonds is to protect the state, and the clients of contractors, from potential unlawful actions. For contractors, getting bonded is also a sign that you’re reliable, and safe to do business with. Just like other surety bonds, the farm labor contractor bond is a contractual agreement between three entities. Your farm labor contractor business is the principal that needs to get bonded. The licensing authority that requires the bond is the obligee. Finally, the surety is the bond underwriter that provides backing for you. Who needs to obtain a farm labor contractor bond? How much does a farm labor contractor bond cost? Can I get a farm labor contractor bond with bad credit? How do I get my farm labor contractor bond? 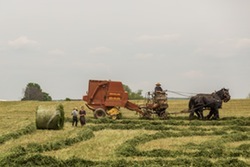 How are bond claims handled for farm labor contractors? In numerous states, getting a farm labor contractor license requires posting a bond. This prerequisite is put in place to safeguard the interests of contractors’ clients, which are often migratory agricultural workers. A farm labor contractor company, in practice, is an intermediary for job seekers and employers in the field of farm labor. The bond’s role is to ensure that contractors will abide by relevant rules when providing their services. Before you start your licensing process, make sure to check the exact bonding criteria you need to meet to get your state license. The bonding amounts are different from state to state. This means that your bond cost will depend on your location, as it depends on the required bond amount. Your bond price is also affected by your personal credit score and business finances. While the bond amount can be considerable in some places, your bond premium is only a percentage of it. The typical bonding rates are between 1% and 4% of the bond amount, if you qualify for the standard bonding market. For example, for a $25,000 bond, you are likely to pay a premium of $250 to $1,000. When you apply for a bond with your surety, it examines a number of financial indicators to assess your application. The most important factor is your personal credit score, as well as at your personal and business financials and professional knowhow. Your bond price is then determined on the basis of the level of risk. You can learn more about the way your farm labor contractor bond price is set by consulting our surety bond cost page. Here at Lance Surety Bonds, we have extensive experience with bonding farm labor contractors. We know that getting bonded with bad credit can be an uphill battle. That’s why we offer our Bad Credit Surety Bonds program. Our goal is to help contractors with low credit scores, tax liens, bankruptcies, or civil judgements get bonded and stay in business. You can expect bad credit bonding premiums in the range of 5% to 10%. While the cost is slightly higher, you can be sure you are getting a top rate with us. We have close connections with numerous A-rated, T-listed surety companies, which means we can select the best matching bonding option for you. You can apply online today for a free bond quote. Once you’ve included all paperwork in the application form, we will deliver your exact bond price in no time. Our How to Get Bonded page is an excellent resource on bonding in case you need further information. For any questions about the process or your application, just call us at (877) 514-5146. Our bonding experts are here to help. Before you start your bonding process, it’s important to understand how farm labor contractor bonds work. Unlike insurance for your company, they are a safety net for your customers. Your bond guarantees that they will be protected and reimbursed in case you do not abide by applicable laws. In case you deviate from your obligations under the bond, an affected party can file a claim on it. If it’s proven, you will be liable to compensate the claimant up to the penal sum of the bond. That’s why bond claims are a serious financial and reputational burden, and should always be avoided. After a claim, it can also be quite difficult to get bonded again.